Do I need a will? What is a trust? Why do I need a Power of Attorney? Let the legal expertise of Cirilli Law Offices, S.C. help you to draft a Will and manage each element of probate to ensure your rights are protected. Cirilli Law Offices, S.C. has assisted many of its clients with appropriate estate planning. 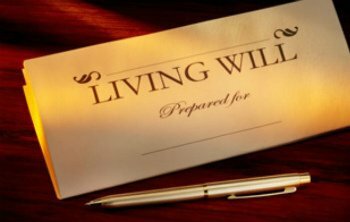 Estate planning can be as simple as drafting a Will directing that a decedent’s estate be distributed to named heirs, etc. Estate planning can also be exceedingly complex requiring the formation of multiple trusts to maximize the estate of both spouses and to minimize exposing the estate of either spouse from unnecessary state and federal estate taxes. In almost all circumstances, an effective estate plan requires both the assistance of a skilled attorney and a skilled certified public accountant. Appropriate estate planning can assure you that when you die, your surviving spouse and heirs are appropriately cared for and that they will not be exposed to unnecessary taxes, expensive administration, and the additional stress and heartache associated when a loved one passes. Another consideration to be addressed when drafting a Will is the appointment of an individual to act as the guardian of minor children if both parents of the children are either deceased or unable to care for the minor children. Important considerations must be discussed to determine the identity of an appropriate guardian for your children. Additionally, most parents choose to include a trust in their Will that would prohibit their children from receiving money or assets from their estate before they attain a given age. In the absence of a trust, children would receive assets, etc., from their parents’ estate upon attaining age 18. Most 18-year olds would not utilize those monies in a responsible manner, and, in some circumstances, receiving monies at such a young age actually encourages that individual to not pursue an education, etc. Many parents now provide in their trust document’s that their children not receive inheritance until age 24 or 25 in the hopes that eventually a maturity level will encourage them to use those monies in a way that is in the best interest of their children. Prior to the children receiving the funds in trust, an individual whom you nominate as trustee can pay proceeds from the trust for educational, health, and general welfare needs as the trustee deems appropriate. It is important that an appropriate individual or trust department is appointed to safeguard the assets in trust until eventual distribution to your children. Revocable trusts are also preferred by many individuals for estate planning purposes. A revocable trust can accomplish the transfer of your assets to your loved ones in an expedient and private manner and without some of the delays that are associated with the probate process. Revocable trusts are not for everyone, but for some individuals, they are preferred to a Last Will and Testament. During one’s lifetime, it is a common assumption that if you had an accident or health problem that rendered you incapable of handling your financial affairs, a parent or a spouse could handle those affairs on your behalf. Unfortunately, under a circumstance where you become mentally incapacitated, the law would require that a guardian be appointed to handle your estate unless you already had a Durable Power of Attorney wherein you nominated an individual to handle your financial affairs in the event that you could not do so for yourself. A Durable Power of Attorney is an indispensable piece of a complete estate planning package. Again, in the absence of a Durable Power of Attorney, and in the event of mental incapacity, the family would have to petition the circuit court in the county of residence of the disabled individual and ask that a guardian be appointed to handle the estate of the disabled individual and possibly also for guardianship of the person of the disabled individual or for protective placement. At Cirilli Law Offices, S.C., we can assist you with issues regarding the drafting of a Power of Attorney and/or guardianship, should same be necessary. We can also assist in the preparation of a Power of Attorney for Health Care which health care providers now routinely require for any individual requiring anything other than ordinary health care. If you have any questions regarding the above or need additional information regarding the above, please contact Atty. John M. Cirilli by e-mail at john@cirillilaw.com.